Usually the blog posts are about bikepacking, views from rides, and gear. Once or twice a year, I have to mention product changes or additions. Since it’s officially Spring now with warmer days conducive to more outdoor time, I figured it was a good time to mention a few product updates. 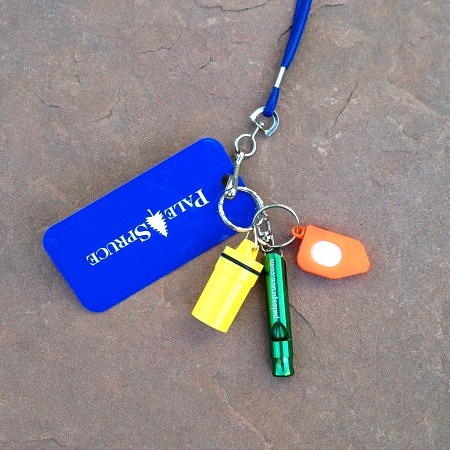 The kid’s lanyard has been updated with a waterproof multi-purpose capsule that can be used to store medicines or act as a kid’s personal treasure box. The kid’s lanyards were created for my kids when they were 4 and 6 years old, but I’ve realized they can be used for older kids (up to 6th grade). 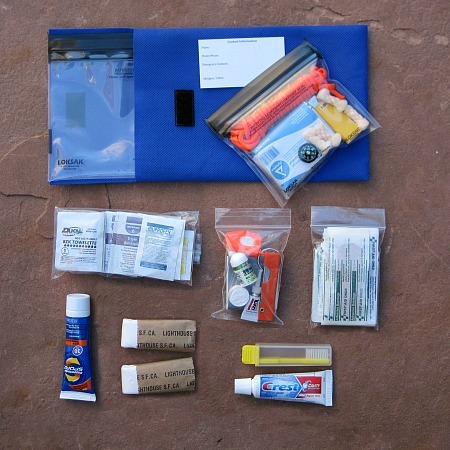 The lanyards can help reinforce the fact that we need to be prepared when camping, hiking, etc. Based on feed back from readers and customers, I’ve removed the chamois cream packets from the kit. There is still room for them to be included if needed for your rides. All other items and quantities in the kit remained the same. With the chamois cream removed, the price of the kit dropped a bit to $34.00. 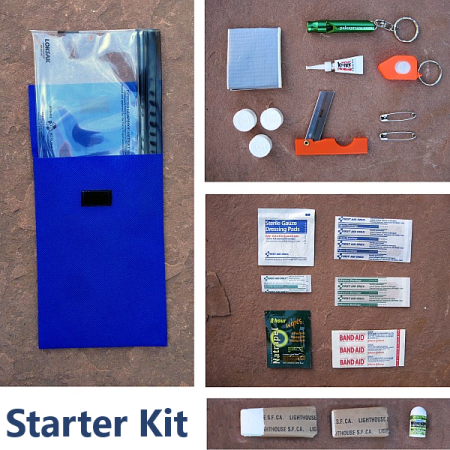 This is a brand new kit that is a slimmed down version of the StayOutThere kit. The medicines have been removed and replaced with a few zippered bags that allow each person to choose their medicines and how much to include. The starter kit is priced at $17.00. This is a great way to build out an all-in-one safety, first aid, personal care kit with medicines you probably have at home. Hopefully your spring riding and outdoor adventures are off to a good start. Use coupon code SPRING25 for 25% any orders in the store.